Hurt From Industrial Worksite Hazards? There are many hazards involved in working at an industrial site. 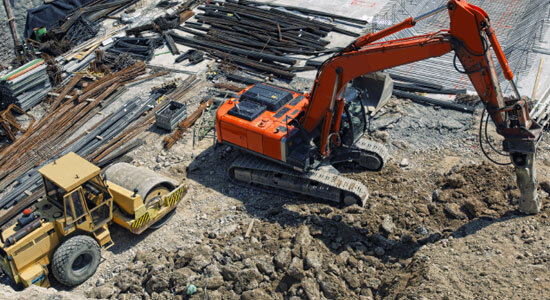 Without proper precautions, codes, and enforcement of regulations, these worksites can be very dangerous. There's no shortage of machinery malfunctions and general mishaps that could cause serious injury if you're involved in an industrial accident. If you've been injured while working at an industrial site, call us today. These accidents are extremely time sensitive, because the worksite can be cleared quickly and evidence can disappear. It's important to speak with our legal professionals as soon as possible. We'll send our experienced investigators to preserve the evidence and strengthen your case. We're committed to helping you recover all of the compensation you deserve for your injuries. For a free consultation, call us at 1-866-943-3427 or fill out our free online legal consultation located in the top right corner of this page. If you've been injured as a result of any of these hazards, or any other worksite hazards, call our law firm today. We can help get you the money you deserve. For decades, we've helped our injured clients recover compensation, and we're ready to get to work for you. If you call us, we'll review your case for free and help you understand your options. Industrial accidents can be very complex, especially when there are multiple parties involved. It can be difficult to understand if you have a workers' compensation claim, a personal injury lawsuit, or are entitled to Social Security Disability benefits. We're committed to simplifying everything for you, so you can get the money you deserve.